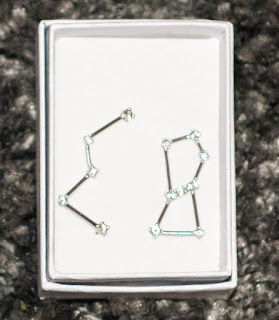 Since the grocery stores here don't have earrings and that's the only place we've been going, Andreas ordered me a new pair online. Cassiopea and Orion! They go up the ear instead of hang from the lobe, too. 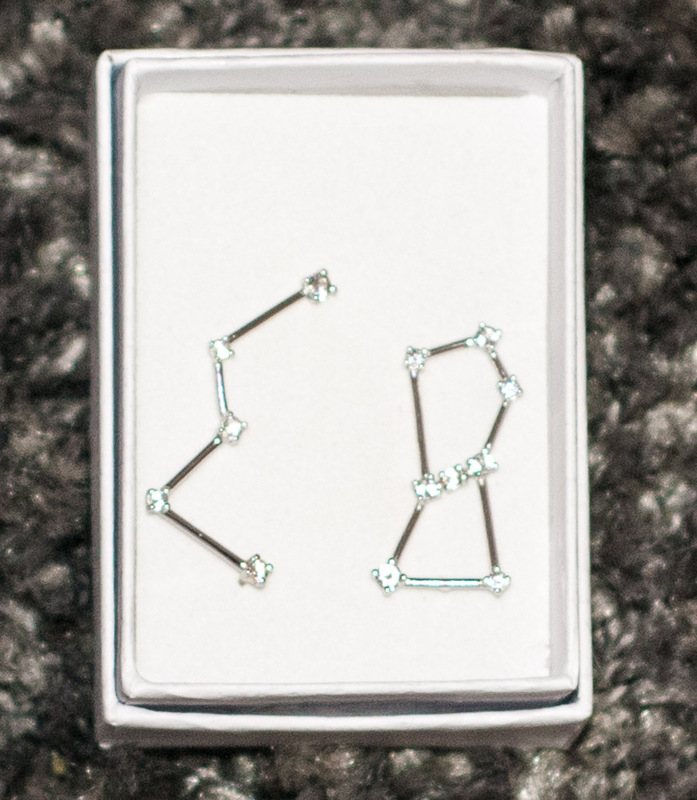 These are lovely--two of my favorite constellations. Can you share the website where you got them? My husband got them off the Think Geek website for me! They feel comfortable, too.